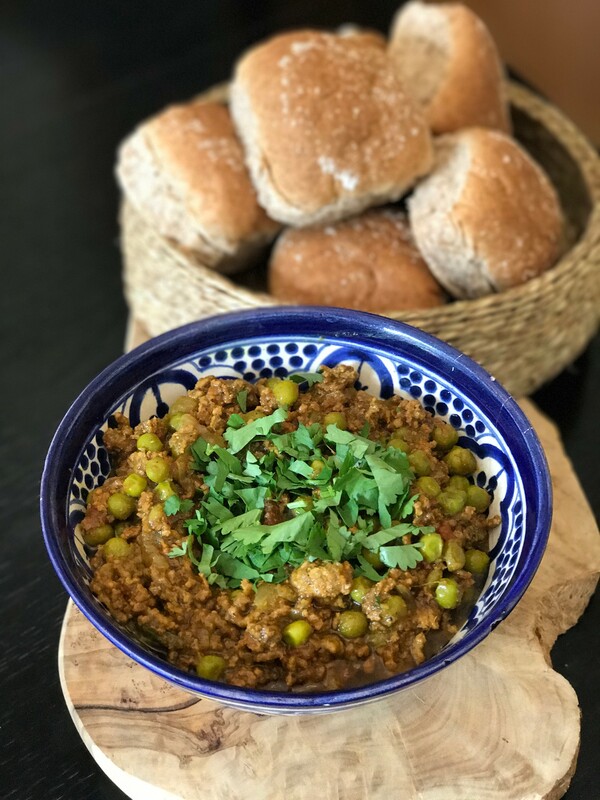 Keema pao is a tasty, popular street food consisting of spicy mince with bread. 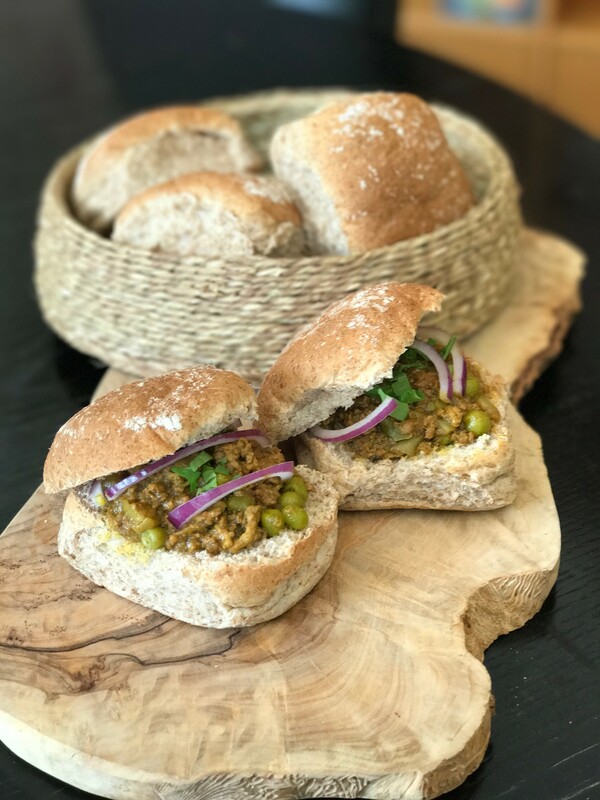 For the final day of my healthy Ramadan recipe week with Radikal Kitchen, she has provided us with a recipe for keema pao which can be served as part of main meal or eaten as a spicy snack. Heat the oil in a heavy-based pan and all whole spices (cloves, cinnamon, peppercorn, cardamoms and bay leaves). When the seeds start to splutter, add the garlic, ginger and onions, and stir-fry till the oil separates. This takes about 10 minutes. Now add the spices and salt. You can add 2tbsps of water if the paste is sticking to the base of the pan. Continue to stir-fry another 5 minutes. Now increase heat to high and add the mince. Cook the mince for 10 minutes, stir regularly till the mince looks dark brown. Now add the frozen peas and cook on medium heat for another 15 minutes. Take the pao or buns, put a generous amount of mince on top and garnish with coriander leaves. You can spread some fresh coriander chutney on the bun/pao to enhance the tanginess. You can make this dish with chicken mince too!